Abstract: I have been working on issues associated with multi-agent coordination for over the 40 years when I built my first MAS system in 1978 that was a realistic simulation of an intelligent 3-agent distributed sensor network system (Distributed HS-II), where I first encountered issues of multi-agent coordination. I am still very excited about the issues associated with MAS coordination and think that they are still relevant to the field. I hope in this lecture to share some of my enthusiasm for the subject. I also feel it is a subject that is not really well understood by most multi-agent researchers. To establish some common ground, I will first discuss a quantitative view of coordination for large-grain sophisticated agents and then insights about coordination that I have learned from building countless multi-agent systems in a variety of application domains. I will end the lecture by discussing various research problems that I feel are important to answer for further work in this area to progress. I will describe a number of multi-agent coordination phenomenon empirically observed but not adequately explained and discuss possible hypotheses to explain them. I will also pose some questions that I feel are important but have not been seriously studied. 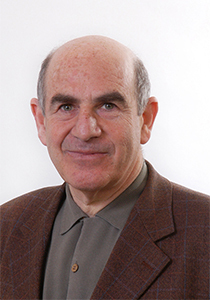 Speaker’s Bio: Victor Lesser received the Ph.D. degree in computer science from Stanford University, Stanford, CA, 1973. He is an Emeritus Distinguished Professor of Computer Science and Founding Director of the Multi-Agent Systems Laboratory at the University of Massachusetts. His major research focus is on the control and organization of complex AI systems. He has pioneered work in the development of the blackboard architecture and its control structure, approximate processing for use in control and real-time AI, and a wide variety of techniques for the coordination of and negotiation among multiple agents. He was the system architect for first fully developed blackboard architecture (HEARSAY-II), when he was a research computer scientist at CMU from 1972 thru 1976, and is considered one of the founders of the Multi-Agent field starting with his early work in 1978. He has also made contributions in the areas of machine learning, signal understanding, diagnostics, plan recognition, and computer-supported cooperative work. He has worked in application areas such as sensor networks for vehicle tracking and weather monitoring, speech and sound understanding, information gathering on the internet, peer-to-peer information retrieval, intelligent user interfaces, distributed task allocation and scheduling, and virtual agent enterprises. In terms of statistics, he has published over 500 papers, graduated 36 PhD students, and based on Google Scholar his citation count is over 26,000 and h-index is 80. Professor Lesser’s research accomplishments have been recognized by many major awards over the years. He received the prestigious IJCAI-09 Award for Research Excellence. He is also a Founding Fellow of AAAI and an IEEE Fellow. He was General Chair of the first international conference on Multi-Agent Systems (ICMAS) in 1995, and Founding President of the International Foundation of Autonomous Agents and Multi-Agent Systems (IFAAMAS). In 2007, to honor his contributions to the field of multi-agent systems, IFAAMAS established the “Victor Lesser Distinguished Dissertation Award.” He also received a Special Recognition Award for his foundational research in generalized coordination technologies from the Information Processing Technology Office at DARPA. 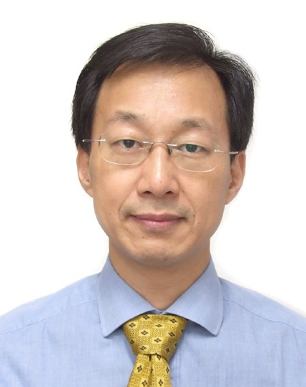 Speaker’s Bio: Dr. Daqing ZHANG has been a full professor in Département Réseaux et Services Multimédia Mobiles at Télécom SudPais and CNRS, France, since 2007. He initiated and led the research in Smart Home, Healthcare/Elderly care and context-aware computing from 2000 to 2007 at the Institute for Infocomm Research (I2R), Singapore. He was the founding head of Connected Home Lab (2003-2004), the founding head of Context-Aware Systems Department (2004-2006) and the founding head of IMACA group (2006-2007) at I2R, Singapore. He has served as general chair/program chair for 15 international conferences/workshops and given 20 keynote talks in various international events. He is the associate editor in 4 international journals including IEEE Pervasive Computing, IEEE Transactions on Big Data, ACM IMWUT and ACM TIST. He also served in the technical committee for top ubiquitous computing conferences such as UbiComp, Pervasive, PerCom, etc..
Daqing’s research interests include context-aware computing, mobile computing, big data analytics, ambient assistive living and urban computing. He has published over 200 papers in referred journals, conferences and books, where his work on context model and middleware is widely accepted by pervasive computing, mobile computing, networking and service-oriented computing communities. He is the winner of the Ten Years CoMoRea Impact Paper Award at IEEE PerCom 2013, the Honorable Mention Award at ACM UbiComp 2015 and 2016, the Best Paper Award at IEEE UIC 2015 and 2012 and the Best Paper Runner Up Award at Mobiquitous 2017 and 2011. All Daqing’s research has been motivated by practical applications in digital cities, smart home and elderly care. In recent years, he has been exploring new areas such as “Social and Community Intelligence (SCI)”, “Mobile Crowd Sensing (MCS)” and “Contactless Sensing” which aim to push context-aware computing to new frontiers. Daqing Zhang obtained his B.E. from China University of Mining and Technology in 1984, his M.E. from China Aeronautical Computing Technique Institute in 1987, and his Ph.D. from University of Rome “La Sapienza” and University of L’Aquila, Italy in 1996.